Today I have a card to share today. 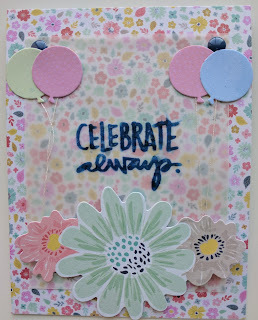 I used Celebrate set I got from Ali Edwards sale a couple weeks ago. I also used Turn the Page 6x6 pad and piece from the die cut pack as the start of the card. 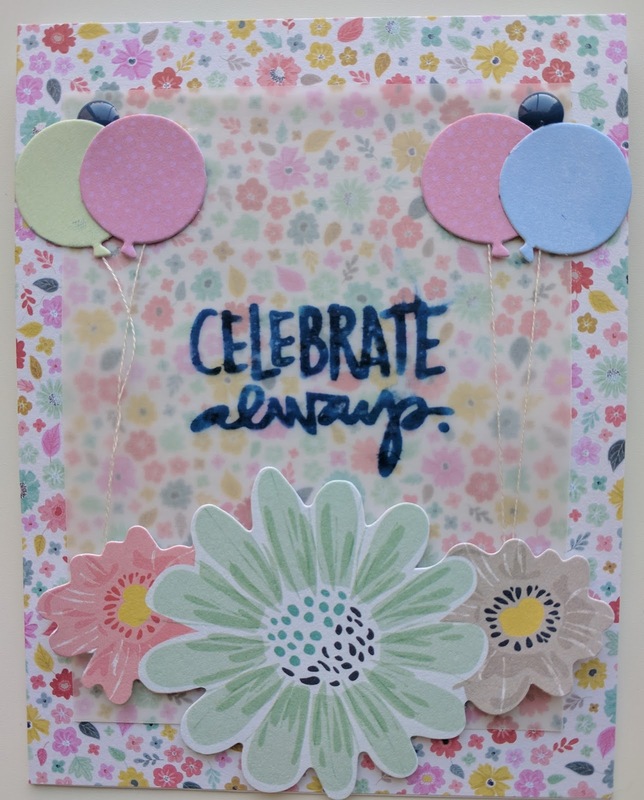 Then in my attempts to use my stash, I broke out vellum, enamel dots, and balloon dies from Paper Smooches that I've never used. I stamped on the vellum using Lawn Fawn Blue Jay and set it aside to dry because I forgot dye ink + vellum, not the perfect fit. I used the large flowers on the bottom to hide most of my adhesive to hold the vellum in place and behind the enamel dots. The balloons were added with stands of floss, but that's really hard to see in the photo. I then mounted the whole thing on an A4 card and it's ready for any sort of celebration that might arise.